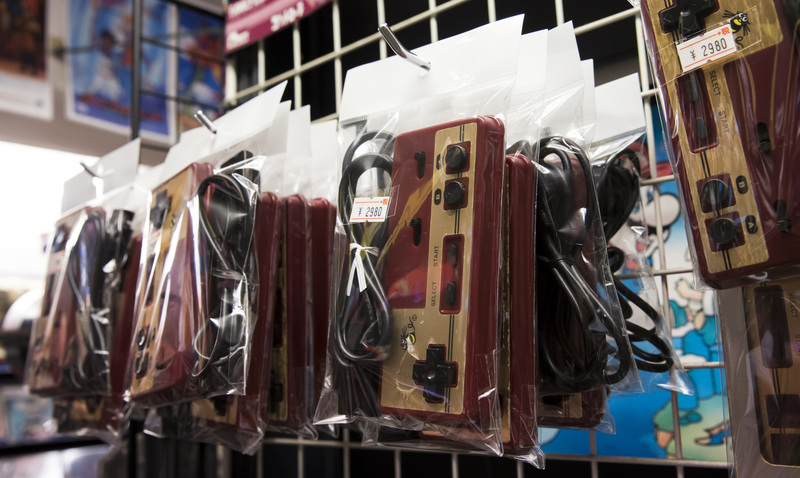 Renewed interest in vintage Japanese video games is drawing buyers to the country’s online markets and retro gaming shops. 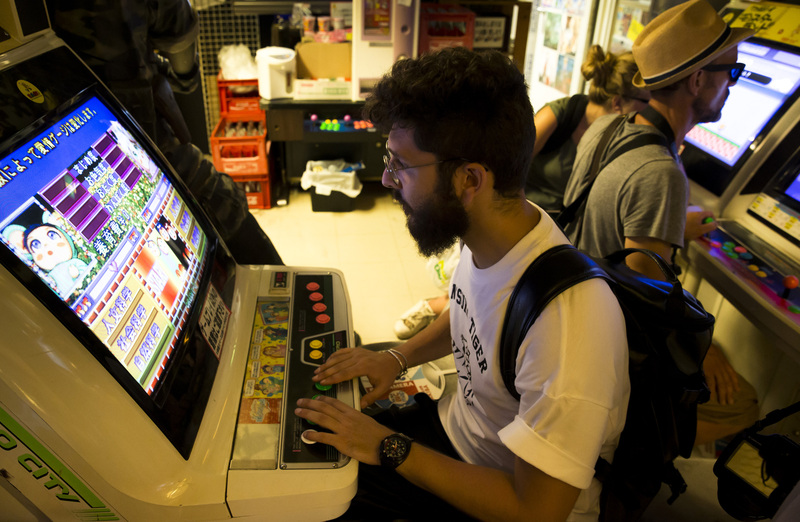 While enthusiasts have collected old titles for years, even casual gamers are now snapping up cartridges and CDs, as well as gaming machines that they haven’t played since childhood. Although retro gaming is considered a tiny fraction of the $109 billion global industry, it’s an attractive niche market. Last year’s rerelease of Nintendo Co.’s first NES/Famicom console sold out quickly, and the same is happening with this year’s follow-up, the classic version of the Super Nintendo Entertainment System. Given Nintendo’s dominance of the home video game market in the 80s, it’s no surprise that the market is so strong in Japan. Convertino was shopping at the Super Potato store in Akihabara, Tokyo’s electronics district. Games and machines from decades past are packed into three floors. There are Neo Geo and Sega Genesis consoles, and multicolored GameBoys and Nintendo 64 controllers hanging neatly along racks. In one glass display case is the holy grail of Famicom titles: the Kinnikuman Muscle Tag Match gold version, estimated to be worth ¥2,000,000 ($18,200). Online sales are also booming, because not everyone can make the pilgrimage to Akihabara. 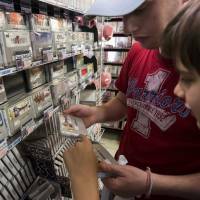 Drew Steimel, who runs DKOldies, a Pennsylvania-based retro game trader, says that he sold almost $3 million worth of vintage games online last year, compared with just a few hundred dollars on eBay when he first started out. “We have been selling retro games for over 13 years and have seen the market grow every year,” he said. 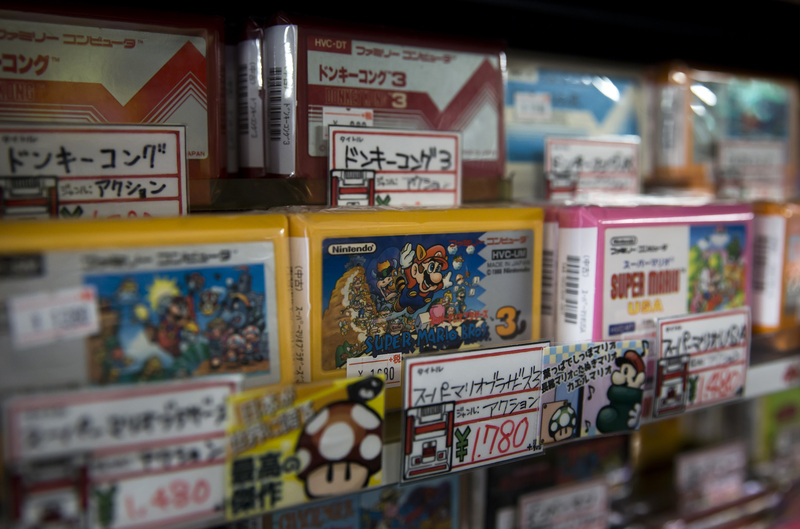 The online market remains heavily reliant on retro video games from Japan and neighboring countries, with more than half of titles on eBay coming from Asia, based on a search online. Often, games sold via online marketplaces fetch higher prices: a copy of Mario Party 2 offered at ¥490 at Super Potato was listed at ¥3,000 to ¥10,000 on Yahoo! Auctions and eBay. Even Sega Sammy Holdings Inc., once a major rival to Nintendo before Sony Corp. and Microsoft Corp. even considered making consoles, is seeking to capitalize on the retro boom. This week it released Sonic Mania, a revival game made in collaboration with the game’s most enthusiastic fans including programmers and artists. 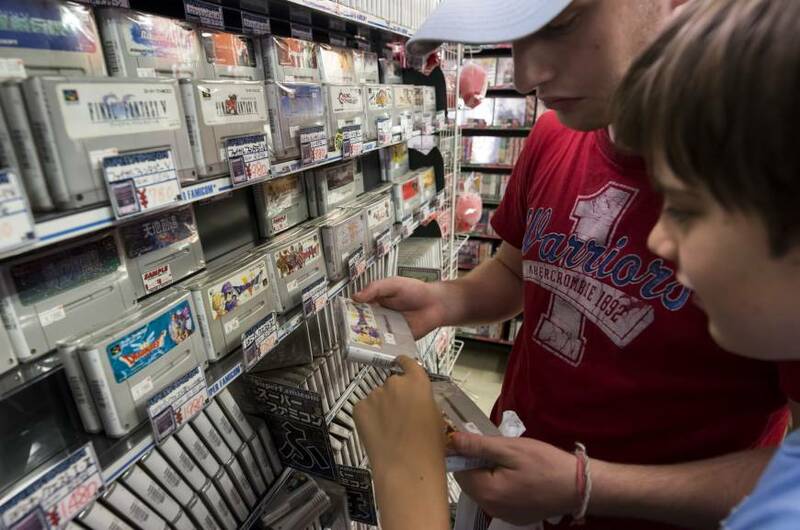 For some shoppers, however, nothing beats browsing the aisles of a store like Super Potato, where tourists wearing anime T-shirts make their way through the maze of shelves. On the fifth floor, there’s even a retro arcade where people can play vintage games. Salarymen with rolled-up shirtsleeves are hunched over big screens, amid the cacophony of 8-bit soundtracks. Cigarette smoke is thick in the air, as they sip on glass Coca Cola bottles. For factory worker Shigeki Nakamura, visiting retro stores and browsing shelves of dusty games is stress relief. He was searching through the store for first-generation PlayStation titles, especially those he may have once owned and played. “I feel like a kid again,” he said.